I have a long list of DPM tapes – a very long list… and most of them are offline. But how would you know what data is stored on what tape? 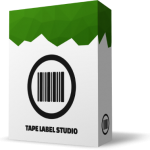 This will list all tapes known to the local DPM server the script is executed at including barcode, tape label, location and protection groups. Is there a way to pull the date of the Recovery also?